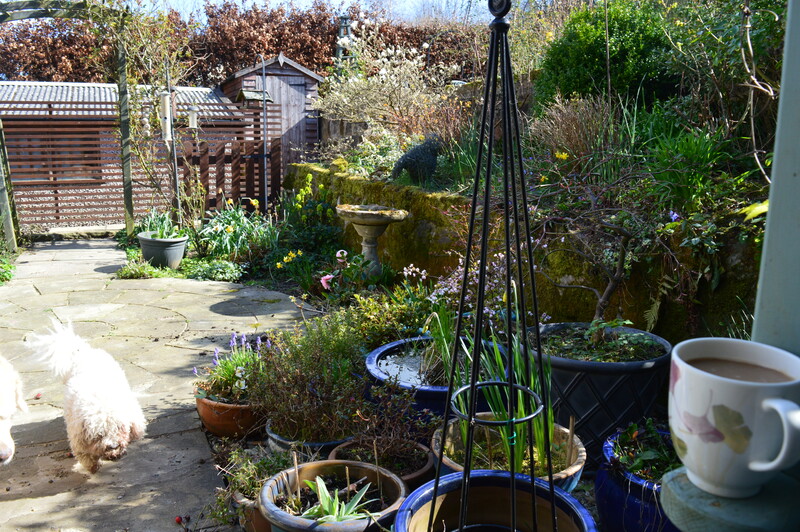 A couple of weeks ago I mentioned an old saying that if March comes in like a lion it goes out like a lamb, well it’s certainly been true this year, it’s mild, calm and sunny, lovely spring days. I was on annual leave last week so I took advantage of the mild weather and spent several hours each day in the garden. 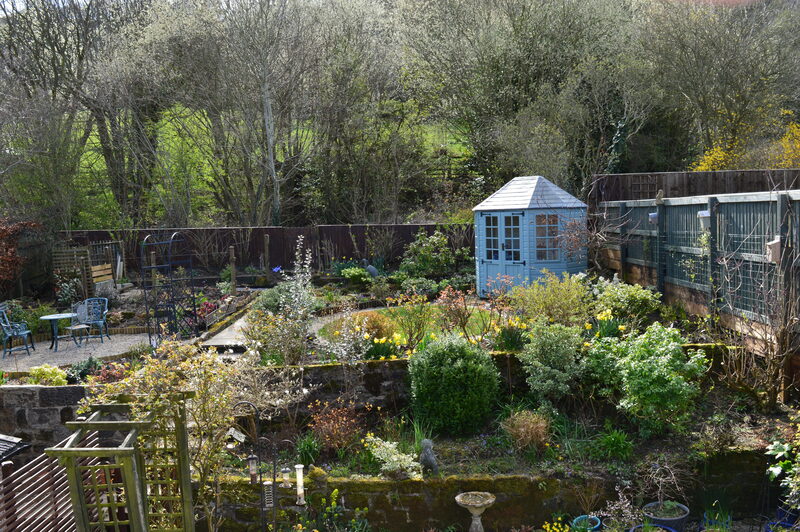 I really feel I’ve achieved a lot, the back garden finally looks tidy, well as tidy as mine ever gets! 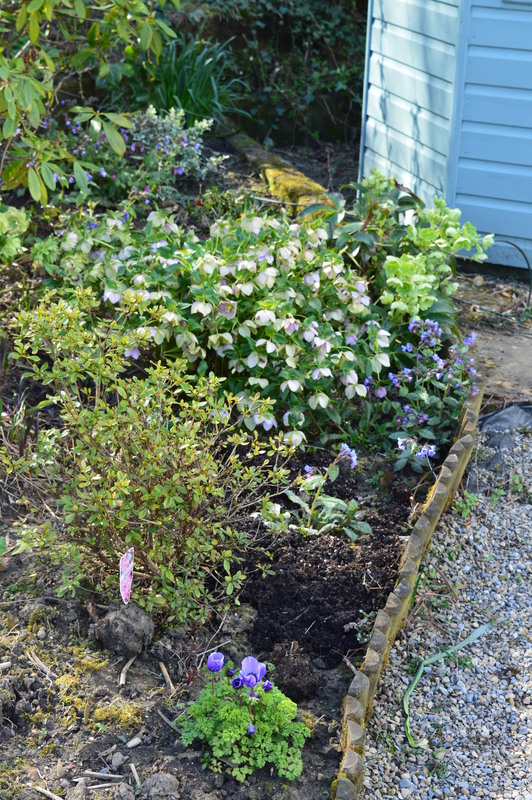 I’ve weeded and dug, pruned and trimmed, moved plants and planted new plants. Today I enjoyed sitting under my arbour with a cup of coffee, enjoying the flowers and plants. I even have a plan for my weed problem! I have rather a lot of nasty invasive weeds, the worst ones being mares tail and bindweed, with couch grass and bramble coming close behind! Having spoken to a nursery man at our WI meeting he suggested using Root-out, rather than a standard weedkiller, but he also suggested applying it every three weeks. This is where I probably go wrong usually, as the weeks just go by! I’m going to put a three weekly reminder on my calendar, he reckoned it would sort the weeds out in a season, to be honest I’ll be happy if they are sorted within a year! The worst area for weeds is our front garden, especially marestail, I started digging and weeding yesterday but as you can see it’s a huge job, fingers crossed the three weekly plan works! 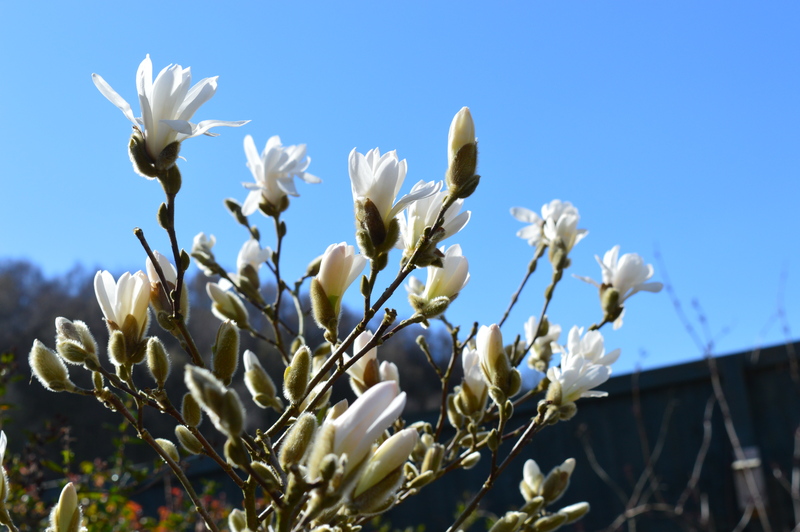 One of my favourite trees in the garden has just started to flower, it’s a magnolia stellata, it’s dainty white flowers are beautiful, especially with the sun shining through them. This was one of the first trees I planted when I first moved here twenty years ago, it’s very slow growing so it’s still not very tall. The trees are just starting to come into leaf, they all start at different times, hawthorns are usually one of the first and sycamores seem to be one of the last. 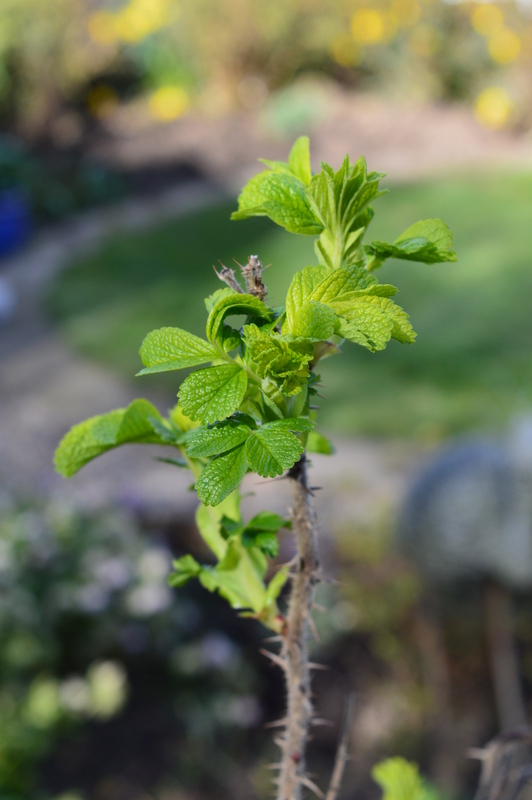 I love the vivid fresh green of the new growth, our rose hedge is just starting to unfurl it’s leaves and just look at the colour! 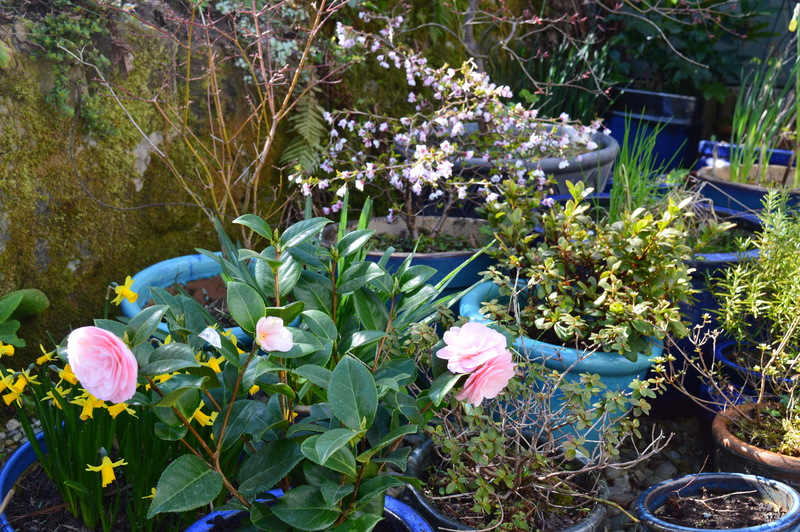 …I still haven’t quite worked out where I’m going to put the camelia, but it was so pretty I couldn’t resist it, I’ve put it in a pot whilst I make my mind up. It compliments the miniature flowering cherry behind it. The pond garden is looking pretty at the moment, the hellebores are still in flower, but there’s also pulmoniria and a vivid blue anemone too. The green shhots of hosta and iris are starting to appear too, so it won’t belong before it really greens up. 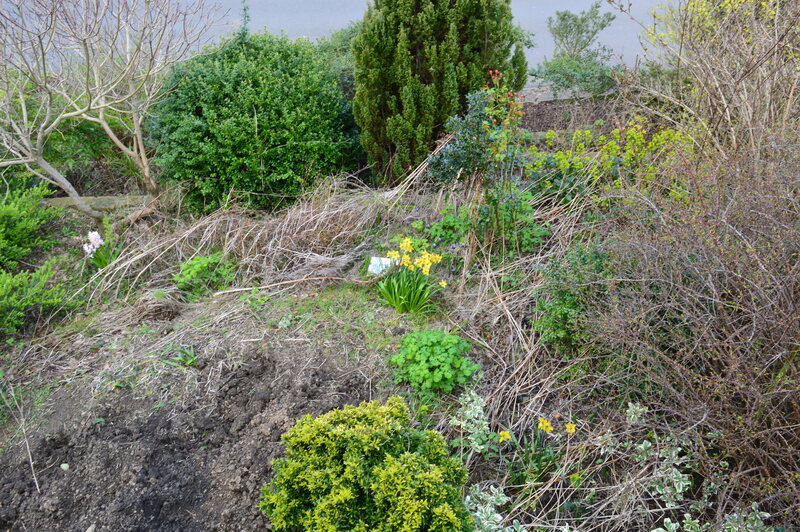 I’ve pretty much worked out what I’m going to do at the top of the front garden,so I’m a bit more motivated to clear it, put some membrane down and a mulch and then plant through it (keeping up with my three weekly sprays!) I’m going to have a Yorkshire themed rose garden, so far the roses I’m thing of are Harlow Carr (an RHS garden in Harrogate) Emily Bronte (lived up the road in Haworth) Scarborough Fair (Scarborough is a lovely Seaside town on the east coast of Yorkshire – and I love the song!) and William and Catherine (well I’ve got to have a white rose in there and Catherine’s family have links to Yorkshire) If anyone can think of other roses, please let me know! 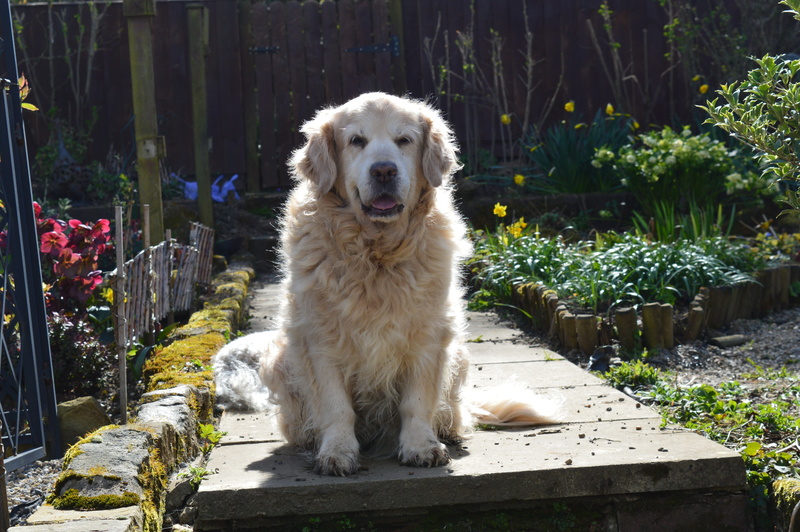 To finish with, here’s a photo of Rosie, enjoying the sunshine, she loves just being in the garden whilst I’m outside. I think she looks gorgeous with the sun shining behind her. This entry was posted in Garden and tagged Spring garden. Bookmark the permalink. I should keep it simple with the reminders… if it’s time for the SAL, it must be time for weedkiller! Lovely spring garden! Otley market, you say? Would that be the Otley in Suffolk? I have many members of my father’s family who live near Otley. They are in or near Framlingham, Wickham Market, Woodbridge, Ipswich and beyond. My paternal great-grandmother is buried in the Cretingham churchyard, and her forebears are all buried in the Baptist churchyard at Otley!! So excited that you might be near them all! Thank you for this lovely post. Oh thank you for clarifying! How funny! I am only slightly disappointed, more interested to hear that there is more than one Otley in England. And what a lovely spring you appear to be having, even in the normally chillier north country! 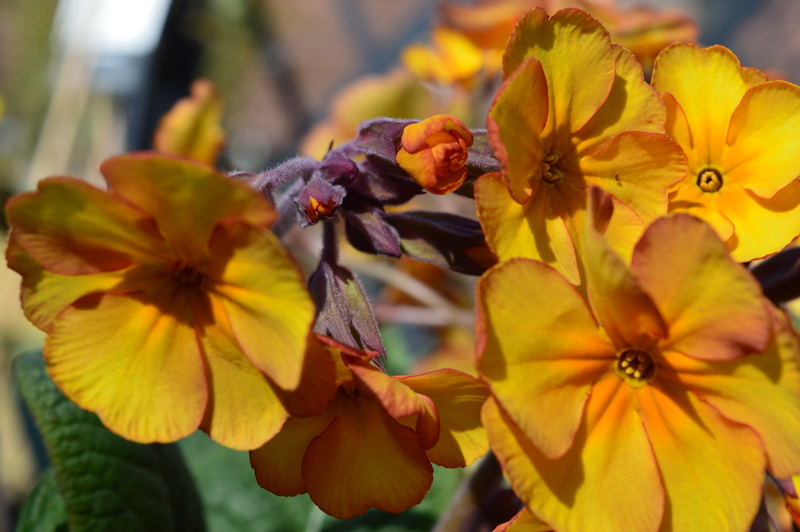 Enjoy that sunshine and long may it last! Bindweed does seem to lull me into a false sense of optimism – just as I think maybe it’s gone, it shoots up ! !